To begin this episode, we talk about the Empty the Tanks protest that was held at the Vancouver Aquarium last weekend, which most of our co-hosts attended! Plus, Cynthia has just returned from vegan haven Portland, and she will report on some of the vegan highlights of her trip. A few weeks ago, British Columbians were devastated to hear of the 6 dogs in Langley who perished in the back of a hot truck. 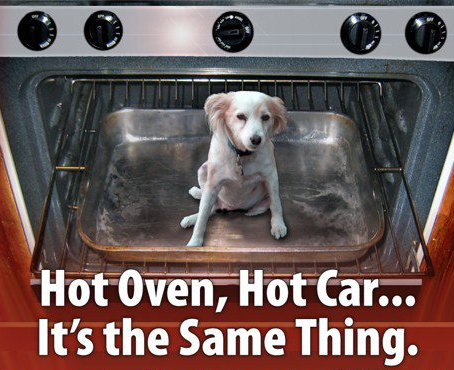 Did you know that your companion animal can suffer brain damage or die after only 10 minutes in a hot car? And that this can happen even if you leave a window open or water in the vehicle? Lorie Chortyk, General Manager of Community Relations for The British Columbia Society for The Prevention of Cruelty to Animals, gives us information about this issue and advice on what to do if YOU see a dog locked in a vehicle this summer. Call your local Animal Cruelty Hotline or 911, and act fast, as it only takes minutes for a dog to die in a car! For more helpful information on what you need to know about this subject, please visit the BCSPA’s information webpage here. Our feature interview is with Philip Lymbery. He is the CEO of the leading farm animal welfare organization Compassion in World Farming and also a prominent commentator on the effects of industrial farming. 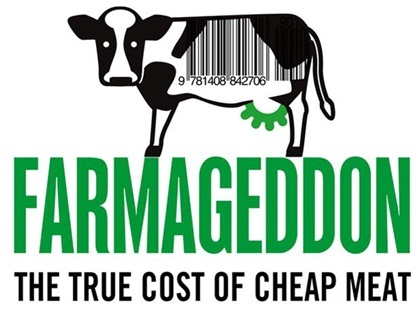 He has recently published an in depth investigative book called “Farmageddon: The True Cost of Cheap Meat”, which looks into the many facets of industrial farming around the world and dissects them for scrutiny and consideration. This book discusses the gamut of the effects of the industrial farming processes from animal welfare to health impacts to environmental, political and economical factors involved. It is extremely well researched, as is Philip himself. In this interview, he speaks on some of the issues that he raises in this book, such as the history of factory farming, the process and effects of fish farming, the conditions for factory-farmed chickens, the conditions for veterinarians working in slaughterhouses, and why the true cost of a hamburger is $100. Curious about the book? You can read the first chapter for free here!